From its invention back in the nineties, the remote head has given directors and directors of photography literally thousands of new possibilities when it comes to camera movements, since it can do stuff that was previously impossible, such dutch head movements, endless spinning on each axis, aside of extremely precise tilt and pan moves. It is and will be a really powerful and versatile tool, that aside of its upfront high costs, can at the end of the day save time and money to the production by making easier and faster, after the initial set up, to move the camera and/or put it in positions that would be extremely hard and dangerous to reach with other kind of grip, not to mention that the operator will not need to be by the side of the camera so it is also a better solution safety wise. 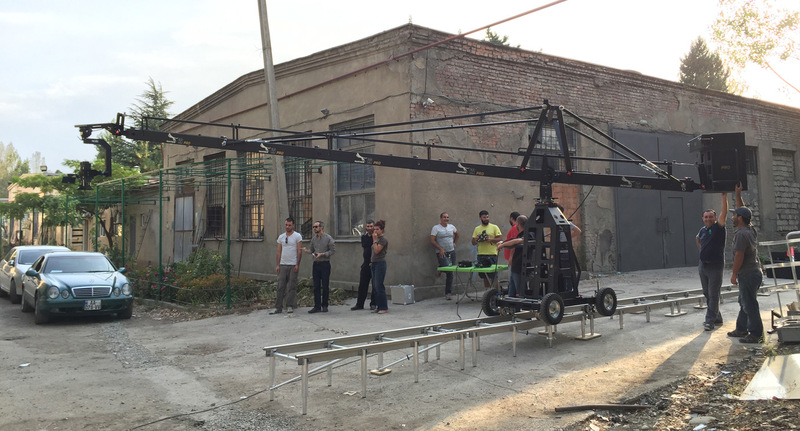 Together with a technocrane or even a standard crane, the remote head is a key feature that can make the difference between a perfect shot and a bad one. At Camaleon Rental we can provide highly skilled remote head operators with decades of experience in feature film, commercial shootings and music videos that will make the movements your have in your heads become true, exactly the way you want them to be.